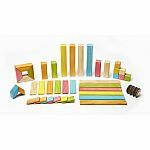 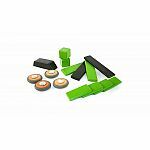 The 42 Piece set is an introductory building set for creating large and small structures. 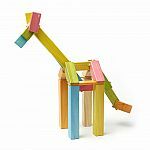 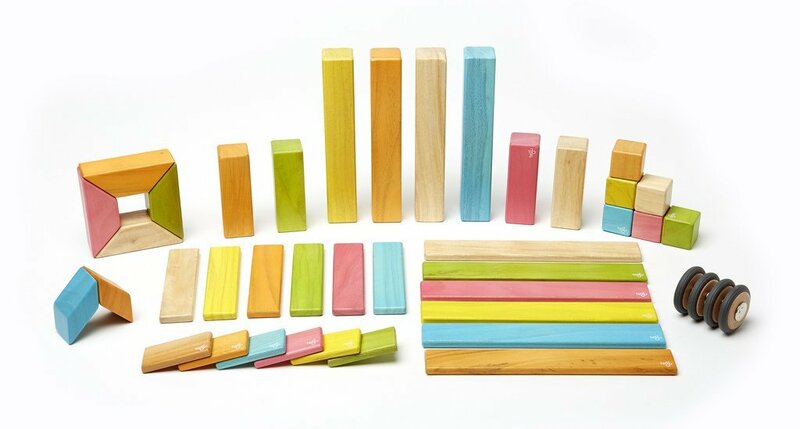 It contains 42 blocks in 9 shapes: 4 mega planks, 6 long planks, 4 medium columns, 4 short columns, 6 cubes, 2 small trapezoids, 4 large trapezoids and 6 short planks in pale green, blue, pink, yellow, orange and natural wood. 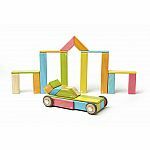 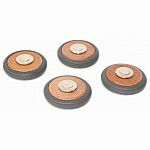 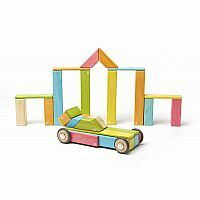 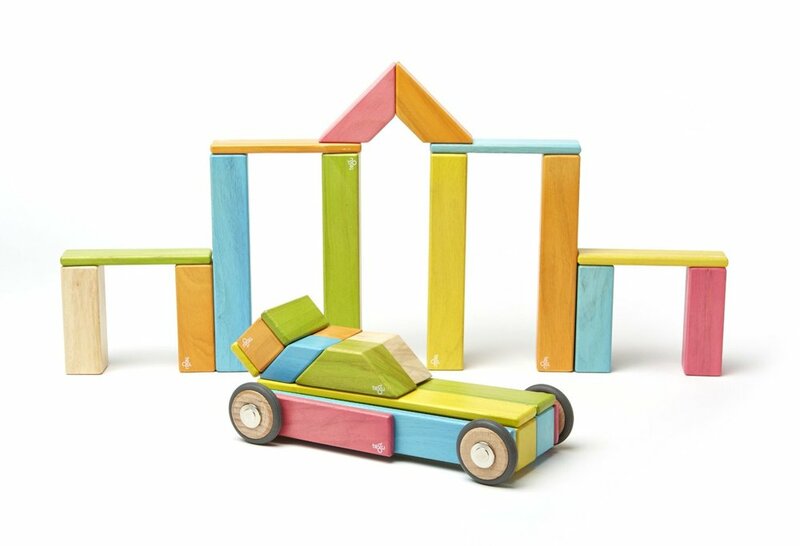 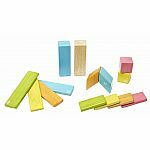 Also included are 4 wooden wheels to make any of your Tegu blocks mobile! Colors and clear coats are made from non-toxic, water-based lacquer. 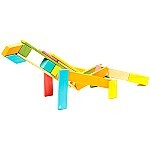 Measures approximately: 15.00 x 4.00 x 11.00 inches..